Both flavors contain wheat, eggs, soy and milk and are made in a plant where nuts are used. 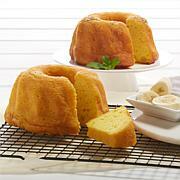 Golden rum cake also contains walnuts. Ingredients: Sugar, enriched bleached flour (wheat flour, niacin, reduced iron, thiamin mononitrate, riboflavin, folic acid),eggs, water, soybean oil, non-fat dry milk, emulsifiers (propylene glycol mix of mono and diglycerides), modified starches (potato, wheat and corn), Tortuga Gold Rum , egg whites, salt leavening agents (baking soda, sodium acid pyrophosphate, monocalcium phosphate, dicalcium phosphate, sodium aluminum phosphate), texturizers (gum Arabic, xanthan, guar gum, sodium alginate) caramel color, artificial and natural flavors, sorbic acid (preservative), artificial color (FD&C Yellow #5). Contains less than half of 1% alcohol. Allergens: Contains wheat, eggs and milk. 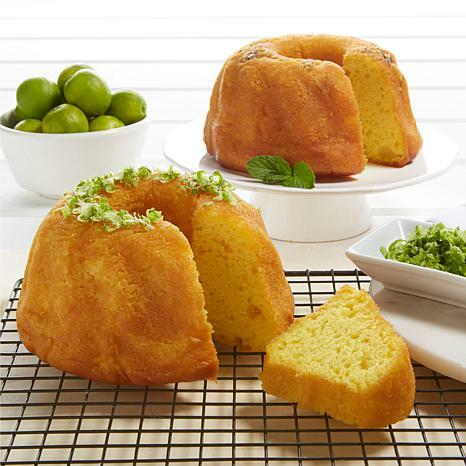 Key lime cake includes key lime (juice and concentrate) natural and artificial flavoring. 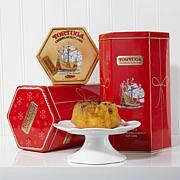 These don't have all the frosting the Italian rum cakes have and I love these better. Can really smell the rum. Love the lime and will order more for Easter Sunday. My husband fell in love with rum cake on our trip to St Croix last year. I saw these on HSN and decided they would be a perfect Valentines gift for him. He really liked both of them . 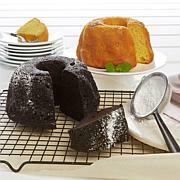 Very moist cake with just the right amount of rum. Will order again! I love these cakes. Now I don't have to wait for my son & his wife to go to Puerto Rico every year & bring me back 1 cake. Now I can get a few & which ones I like. This so good everyone Loved the flavor and the tender cakes. Great price also. Will order again.